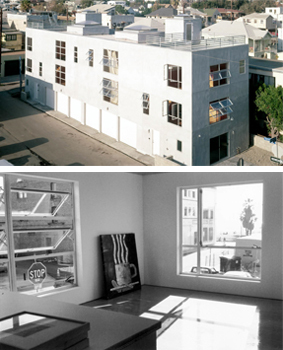 11 Brooks Street incorporates a retail space adjacent to and behind four 3,000 SF lofts on the beachfront in Venice. 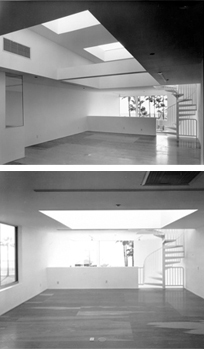 eACH LOFT IS A 20'X100' two story space with a 500 SF mezzanine designed for a sleeping and bathing. At 15 Brooks Street plywood floors and paneling give the 1,800 SF lofts a more residential feel. 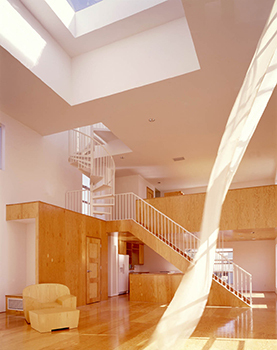 The programs for this duplex building include radiant heating and passive HVAC design. 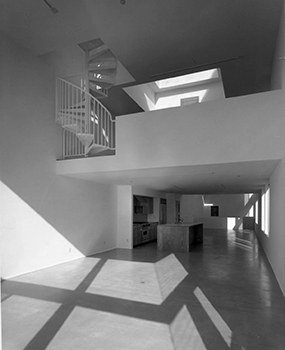 Client: Chuck Arnoldi and Frank Gehry. 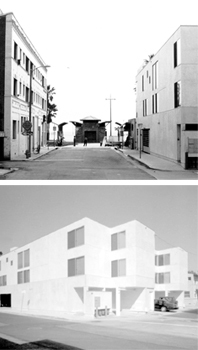 10 years ahead of their time, the Brooks Street Lofts were forerunners of the Loft Living movement in Los Angeles. 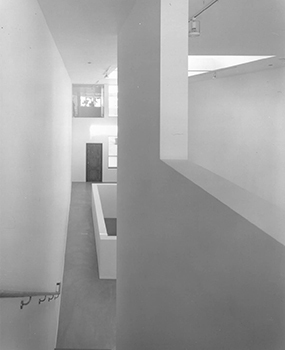 In the heart of artistic Venice, the goal was to create spaces that provide a neutral canvas with no limits to the vibrant creativity of the inhabitants. 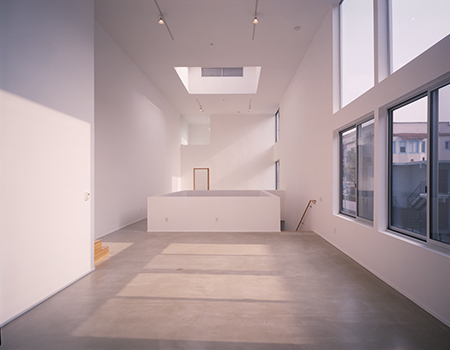 Large skylights maximize both wall space and daylight, creating an intriguing suspense between sheltered introversion and the tangible connection to the bustling Boardwalk life below.